Of course, sticking with the traditional family recipes is all very well, but every now and then there’s a need to try something new. Based around a recipe of Nigel Slaters, this recipe adds a bit of a kick from a great ‘Umba’ Chilli – you can use an alternative Scotch Bonnet or Habanero, or any chilli of your choice. 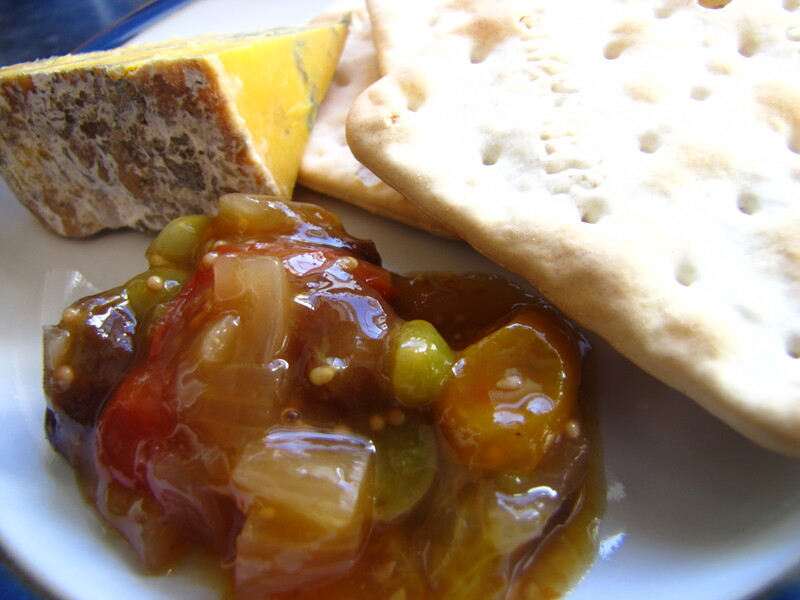 The mix of fruit gives a more appealing colour and a more sophisticated flavour than my usual Green Tomato Chutney and is a great way to use up those mixed tomatoes at the end of the season, although this version is a little more time consuming to prepare. Great for all occassions! Hey thank you so much for the ping back. You have also presented this post in a very nice manner especially the ending gallery.